A man was targeted and killed for being gay; in Greenwich Village this week. People are killed all the time of course. But targeting someone because of being gay in the geographical home of Northeast gay liberation is shocking. There will always be people who are threatened by others. But it does seem that anti-gay violence has increased in recent months. Yes, it could be that the stories make the mainstream airwaves now (versus barely a mention in years past.) But the past year’s crime statistics in New York City would suggest that is not the case. Hate crimes have gone up, and presumably some of that hatred is aimed at LGBT people. Why, 44 years (almost to the day) after Stonewall does this violence exist? How others live their life is of little concern to most people. It is only when our lives (inner or outer) feel weakened or threatened that we pick our head up and look around. Our negative thoughts and feelings about strangers come from our sense of instability. If we are not happy with our lives or ourselves it is (briefly) satisfying to malign others. We can call it bullying or bashing; its genesis is the same, and there is nothing new about it. Bullying/bashing is almost always perpetuated on those who are perceived as weaker. There was a time that by virtue of their position in society and actual laws regarding their personal lives. LGBT people were frequently victimized. A person who may fear for his/her job, housing, family connections, makes an easy target. Bullies could lash out without much fear of repercussion. Who would press charges? Even if charged, would society care? No doubt there were people sitting at home thinking; ‘well if they knew he was gay he must have been doing something ‘gay’ at the time.’ And that, for many people in olden times, was upsetting. But this is 2013. Studies (for the past decade or two) have consistently shown that younger people (college age) don’t view LGBT people as an anomaly. Many teens now publicly identify as LGBT, in numbers and manner that children of even the 1970s couldn’t have even dreamed. LGBT people are openly serving in politics and the military (both rather straight-laced professions.) With the exception of a religious institution (or the Boy Scouts) it’s difficult to conjure a profession that would (lawfully) oust an employee for identifying as LGBT. It happens, there’s no doubt, but it’s not routine and it’s certainly not legal. LGBT people are now represented in television and film as something other than the object of ridicule. This is no small thing, as there are many subgroups that are still considered an acceptable punch line by virtue of their appearance. So how could there be violence towards a people who have made such significant strides? Could it be that it is because of those strides that we are seeing this abhorrent behavior? Can it be that individuals who feel dissatisfied with themselves and their lives are as antagonized by the belief that someone is ‘getting what’s mine’ as they were/are by those who are seemingly weaker? Are attacks on people who are finally getting what’s rightfully theirs (civil rights) inevitable? Is it an inherent part of the battle, these innocent casualties that occur as we get closer to victory? 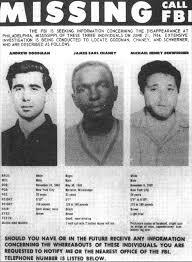 Must Freedom Riders always be sacrificed for freedom?